It's now a cold Sunday morning in Quebec's Eastern Townships. It snowed earlier, leaving the roads wet and mucky, and the fields with a fresh layer of white powder. 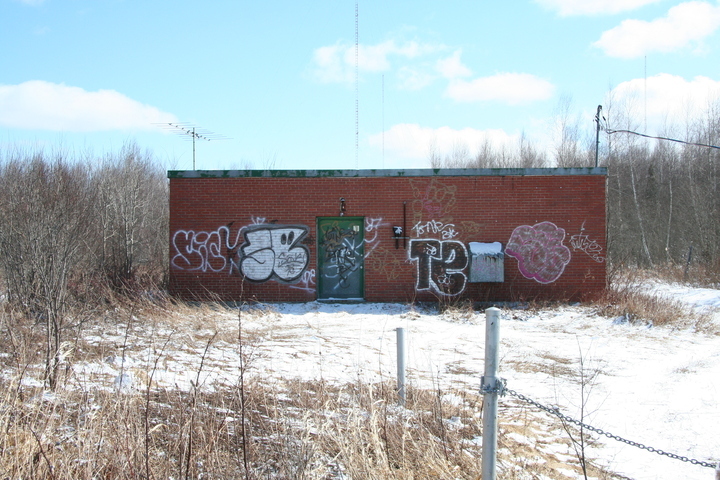 This is the only broadcast facility I stopped at while in Canada on this trip, the soon-to-be-silenced transmitter of CHLT (630 Sherbrooke), located on Chemin Nichol about 8 km south of Lennoxville, or about 13 km southeast of downtown Sherbrooke. It's not particularly easy to see all the towers from this angle.